Well known in the field of chess education and the organisation of competitions, the Neva Foundation organises the first chess tournament of musicians in Verbier in presence of one of the discipline's greatest masters, Vladimir Kramnik, ranked number two in the world. 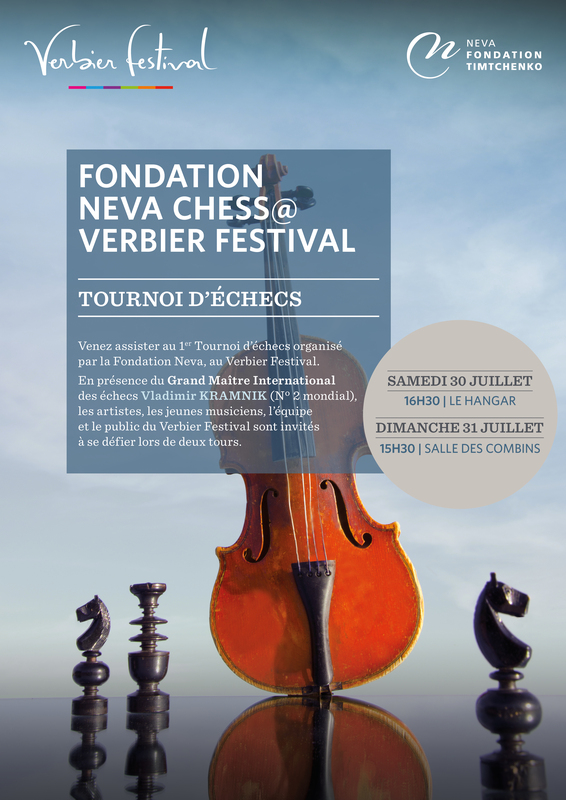 The Neva Foundation Chess @ Verbier Festival is attended by musicians from the Orchestras and the Academy, and the Festival's renowned artists at the Hangar and the Salle des Combins (30 and 31 July). Adults and children who wish to learn chess can participate in the Discovery workshop (31 July and 1 August).